Show me the (grant) money! I’ve written a lot of grant proposals since I became a media specialist in 2010. And while I certainly haven’t received every grant I’ve ever applied for, I have been successful at getting quite a few, including two $5,000 grants and several smaller grants. Like many other schools throughout the country, I’ve had to deal with my share of tight budgets. Yet, it kills me when I hear other educators lament about how they can’t pursue Makerspaces/innovative projects/needed materials because there isn’t any money. The money is out there. Unfortunately, we have to work a little harder now to find it. And while DonorsChoose is an amazing resource that every educator should be making use of, sometimes you need more funding than that. With all of this in mind, I’ve put together some of my best tips for writing successful grant proposals. Please make sure to check out my Grant Resources page as well, as I post a lot of useful information on there. Volunteer with an organization to become a grant reader. This will give you a chance to read the grant proposals of others and get a feel for how the process works. Getting behind the scenes will give you valuable insight into what grantors are looking for. It will help you to see firsthand what mistakes can kill a proposal, and what details can make one stand-out. Organizations giving out grants usually have a lot of amazingly useful information on their website. Before you even begin writing, read everything you can. Print it out and highlight important details. Look at the FAQs, the organization’s vision statement. Read everything you can on previous recipients of the grant and what their projects were. See if any rules or restrictions are posted. All of this information will be vital to you as you start writing. Tailor your project to what the organization is trying to achieve. This doesn’t mean wildly stretching your project idea, but it means rethinking how you present it. Last year, I knew that we needed to get more flexible, collaborative furniture for our library. Lowes Toolbox for Education was looking to provide permanent physical improvements to schools that would boost community involvement. So I focused my grant proposal on how our community uses our library space (family nights, PTSA, bookfairs, Great American Teach-In) and how this new furniture would help to facilitate that. And we got the grant. Nothing will kill your proposal faster than ignoring instructions. If they say you need an itemized budget, don’t send them a vague request of $1,000 for new books. If they say that there is a 500 word limit on your grant essay, don’t write a novel. Print out all instructions, highlight them, and double check to make sure you follow all of them. If you ask for $500, you’ll probably get $500. But if you ask for $1,000, maybe you’ll get $750. Stick within the rules of the grant, but don’t be afraid to go for a big project. Even if you fail, you’ll learn from it. One of the first grant proposals I wrote was for an improved audiobook collection worth $5,000. I didn’t get that grant, but I learned a lot from the process, and it helped me rework my ideas for future ones. If someone is going to give you money, they want to see that you already have something in place. It may take looking at what you already have with new eyes. Got a group of kids that meets during lunch to talk about their favorite books? Use that to ask for funds to support a book club. Got a bin of LEGOs in the corner? 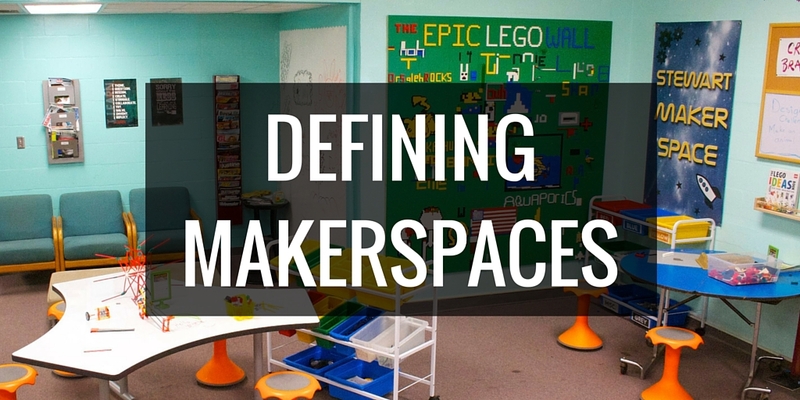 Use that as the start of a Makerspace program. When the grantor sees that you’re already getting stuff done without funds, they’ll want to support you and help your project go further. Talk about how awesome your students are. Share about their potential. Tell the story of how they rise above the odds. Grantors are looking to improve the learning experiences of your students – help them to get to know your kids. It’s okay to explain some of the difficulties and hardships you face, but be careful not to start whining about how budget cuts are horrible and you have nothing to work with. No one wants to fund someone who sound negative or desperate. Keep focused on the positive – how resilient your students are, how your books are so loved by your students that they’re falling apart, etc. Putting a positive spin on things will make you more likeable, and more likely to get funded. Make sure you double and triple-check everything. Get a language arts teacher to check for grammar. Invite those the grant will affect to read it. And make sure you have a non-educator proofread it too. A lot of grant-readers are not educators and if you include too much jargon they won’t have any idea what you’re talking about. Not everyone knows what CCSS, STEM, PBL, Lexile levels or Makerspaces are. While grants less than $5,000 can usually be written easily by one or two people, if you’re going for the really big bucks, it’s a good idea to get some help. 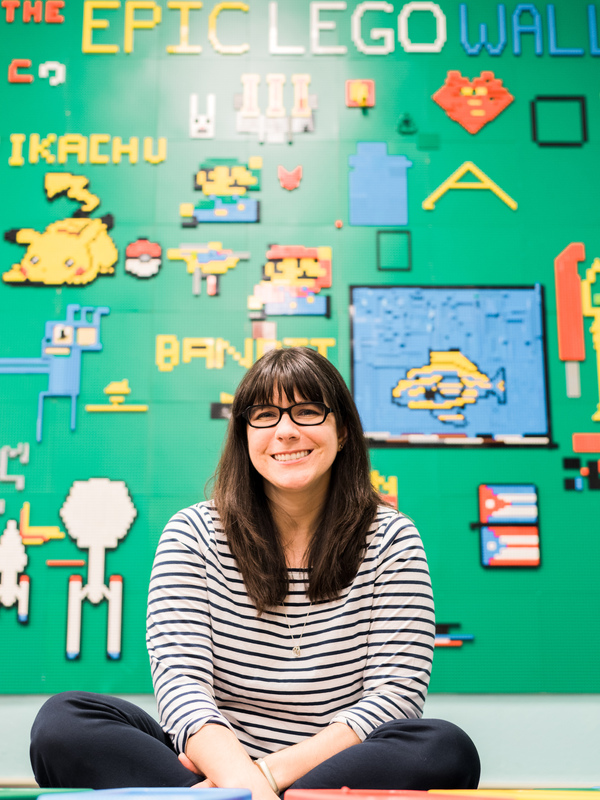 Put together a team of people at your school to write your grant. Check with your district too – some school districts have a grant-writing department that may be able to help you out. 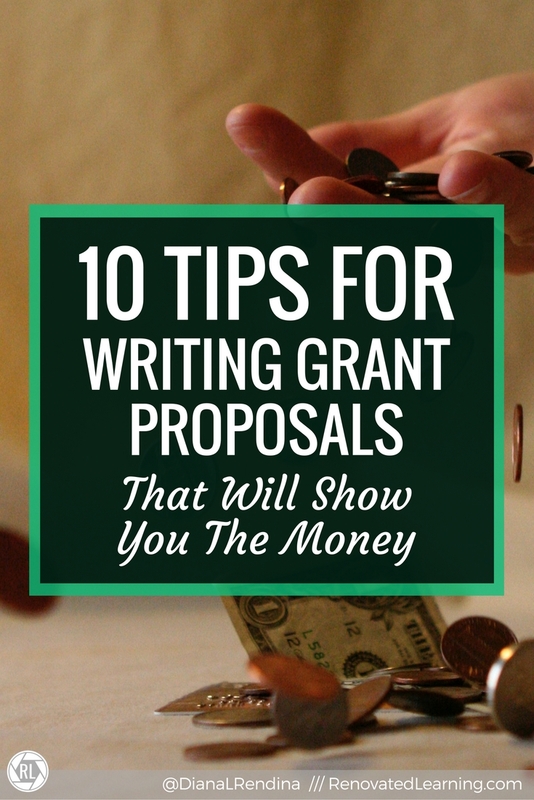 Have you written grant proposals before? What are your best tips? I’ve taken a few classes on writing grants, however haven’t taken the leap yet! Your post was most informative. Thank you!